Contestir is the name of a knight-like Bakugan. 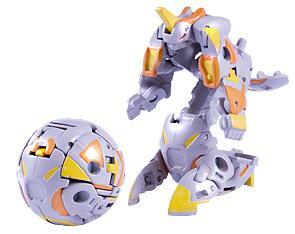 It is Zenet Surrow's Guardian Bakugan. Unlike other Bakugan, Battle Gear mount on his top half. It is in the BakuStand series. The Haos version has 800 Gs, the Darkus version has 630 Gs, Subterra version has 860 Gs, the Ventus version has 670 Gs, a Crimson and Pearl version has 800 Gs, and an Aquos BakuBlue Contestir has 860 Gs. Purchase your Contestir Bakugan from Amazon now!